Dunkeld - Dunkeld is a picturesque village with a selection of shops and cafe to be explored. From antiques to kitchen ware and art galleries there is something for everyone. Walking - The area offers some excellent walking for all levels. There are gentle strolls along the river, or head through the forest and catch sight of some beautiful wildlife including red squirrels and deer. 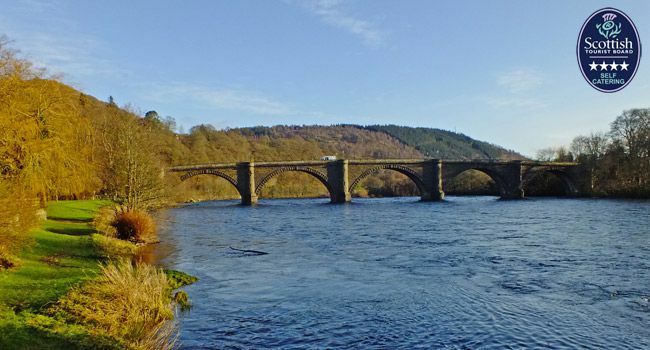 Close by there is a local river side walk to Dunkeld that is 2.5 miles and takes approximately 45 mins. 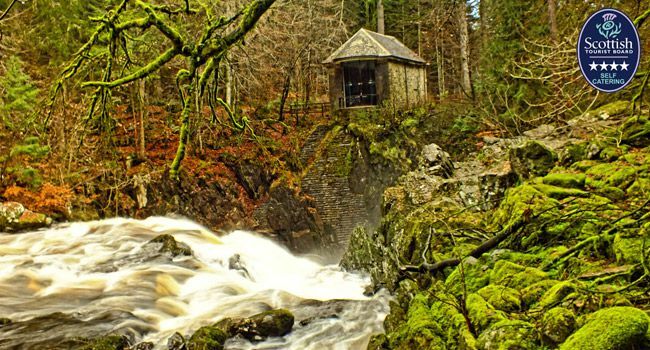 The hermitage offers a spectacular display of nature through the change colour of the trees with the season and the majestic waterfalls where you can watch the salmon leap. We are also ideally located for those wishing for a challenge with Munros in easy reaching distance, including those of schiellion and Ben Lawers. Fishing - We have access straight on to the river Tay where you can have a splendid days fishing. We can arrange to have permits waiting for you when you arrive to take this hassle out of your holiday. 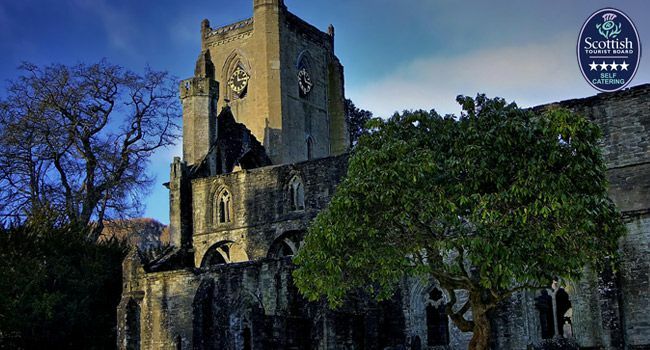 Dunkeld Cathedral - Once the capital of Scotland, Dunkeld offers a wealth of history. The cathedral stands proud on the banks of the river Tay and is open to visitors all year. 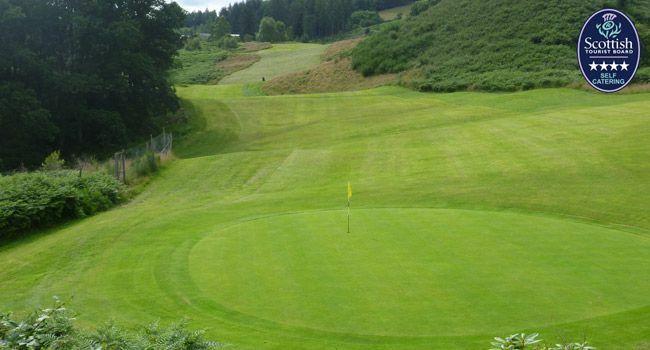 Golfing - There are a selection of fine 9 and 18 hole golf course in the area including Dunkeld golf club and Strathtay golf club. 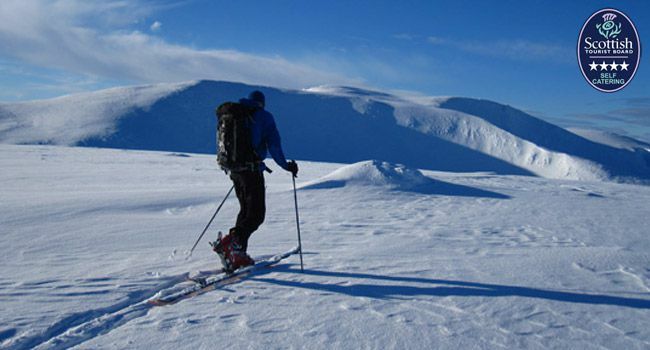 Ski-ing - dunkeld is ideally situated to take advantage of a large number of Scotland’s ski fields including Glenshee, Aviemore, and Nevis range in Fort William.